Unless you’re from that privileged class where price points of things isn’t a decisive factor in making purchases, zeroing on the perfect gaming laptop will always be about sticking to a budget and choosing a device that will meet all your key requirements. Of course, one has to be prepared to make a few compromises along the way to be able to strike that tricky balance. 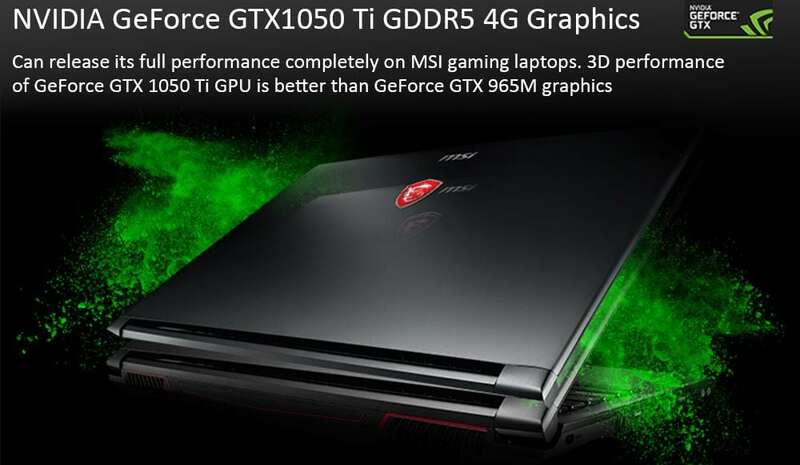 The MSI GL62M 7REX gaming laptop priced in the list of gaming laptops under 1000 fits that premise without being overtly prohibitive. The base specifications of this device, which include a Kaby Lake quad-core processor, Nvidia GTX 1050Ti, 126 GB SSD, 8GB RAM, and an additional 1TB hard drive storage space, are quite impressive. The thin and light design also makes it desirable for avid gamers, who like to play on the move. It is quite a bit of a powerhouse machine that will present a swift experience of navigating through games like World of Warcraft or Sniper Ghost Warrior 3. The one thing that the MSI GL62M 7REX lacks, however, is the addition of virtual reality headsets, which took the world of online gaming by a storm a short span of time since their new arrival on the gaming scene. The fact that some of its competitors priced in a similar range offer VR capabilities does dampen the sheen of this device just a tab bit. Even so, the MSI GL62M 7REX is a powerhouse equipped with some cutting-edge features. For its price and capabilities, it promises to be a great gaming companion. The MSI GL62M 7REX arrives in the same case as its predecessors but sports a leaner look that comes at the cost of optical drive in this offering. MSI has crafted this gaming laptop in largely a matte black plastic body that sports fine red accent on the rear, serving as a meeting point for the dual fan grilles. 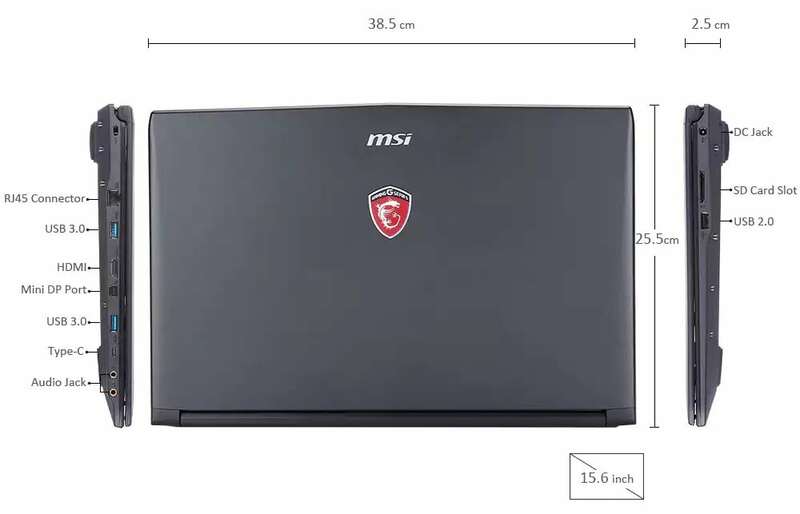 Like all other MSI offerings, the GL62M 7REX too has been build for expandability, which can be achieved by simply removing the underside of the laptop’s body. In terms of look and design, the GL62M 7REX packs in a generous dose of style quotient with the right proportions of gaming allure. 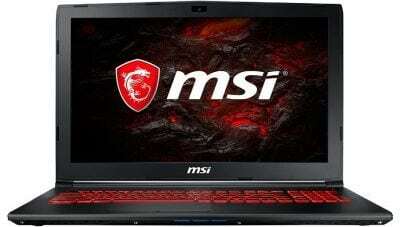 Another trademark MSI feature seen in the GL62M 7REX is its portability. The makers have tried to make this gaming laptop as portable as possible, confining its thickness to 1.06 inches and weight at nearly 2.3 kg. This is definitely a marked improvement from other MSI models like the GL72M 7RDX-800 that was 0.10 inches thicker. The specification of the graphics card is the most telling yardstick to measure a gaming laptop’s performance. The GL62M 7REX excels on that count, as it comes loaded with Nvidia Geforce GTX 1050 Ti graphics card that is propelled by 4GB of GDDR5 memory. This graphics card is the latest offering by Nvidia in its line-up of Pascal architecture and is being offered as an alternative to the GTX 965M that was extensively used in previous generations of midrange gaming laptops. When you couple that with a best in league processor, the Intel Core i7 – 7700HQ, there is little reason to not be excited about the performance capabilities of the MSI GL62M 7REX. 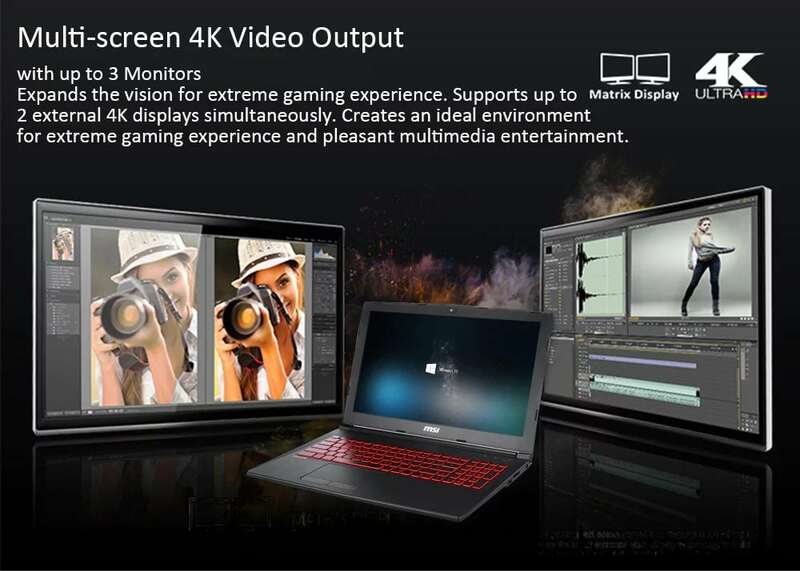 The high definition audio experience offered by the built-in Nahimic and a 2 am LAN augment the performance of the latest Nvidia graphics card on this laptop to make the overall gaming experience a lot more realistic. The inclusion of 8GB DDR4 RAM offers a smooth user experience, where all action takes place in real time. Another unmissable highlight of this MSI offering in the inclusion of 1 terabyte of hard-drive space, meaning there is enough room on the MSI GL62M 7REX for your games, music, videos, personal files, and everything else in between. Other key features of this gaming laptop include an SD card slot, three USB ports of which two are USB 3.0 variants, HDMI as well as mini HDMI slots, mini DP port, standard LAN and WLAN inclusions, 4.0 Bluetooth capability, WiFi support. The use of dual cooling fans on the GL62M 7REX is truly a dream feature that goes on to portray the manufacturers understand the need to keep a machine cool when things get hot on the gaming front. Of course, the built-in operating system comes in Chinese, but that’s hardly a deterrent as installing an English language pack is easy and seamless. The GL62M 7REX is powered by a 3,834 mAH Lithium-ion polymer battery offering 10.8V. It takes about three to four hours to get this laptop’s battery up to a full charge, which produces a solid gaming run time of four to five hours. As is the case with most other gaming laptops, keeping an extra battery handy is always recommended for uninterrupted gaming experiences. The GL62M 7REX sports a 15.6-inch matte screen with a 1920×1080 pixels resolution in Full HD and a display ratio of 16:9. The screen is powered by In-Plane Switching (IPS) technology that created wider viewing angles. This is definitely a smart inclusion, but the impact of the view is dimmed due to a lack of glass coating on the screen. For some users the 15-6-inch screen size and matte finish of the screen could be potential deal breakers, however, the GL62M 7REX makes up for these small shortcomings with its ability to support two external 4K displays at the same time. That’s pretty amazing, to be honest! The 720p camera here is definitely underwhelming, but it does the job of offering a decent video chat experience. The GL62M 7REX uses a built-in SteelSeries keyboard, which is rather well designed and offer great ease of use. The inclusion of anti-ghosting key and a single backlight definitely make navigating through the keyboard a smooth ride. The touchpad is unusually placed a little toward the left instead of the standard center positioning, and this may take some getting used to. Other than that, it is a responsive plane offering smooth and sturdy navigation without any unnecessary bounces and blips. The MSI GL62M 7REX sports a timeless design that makes it instantly appealing. Its portable design also works in its favor, making it an ideal pick for gaming on the go without the hassles of linking the device to an external display. Going by the other specs of this machine especially features such as the inclusion of latest graphics card, processor, abundant space and two-screen support, the GL62M 7REX is a steal for its price tag. 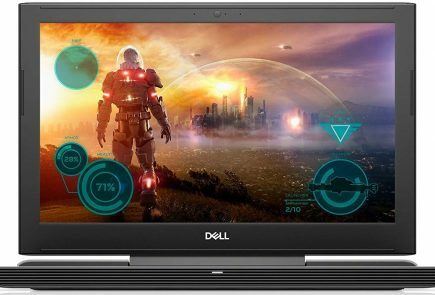 It is a near perfect machine for anyone who is serious about gaming or just wants an ultra-fast laptop with high definition graphics. Best Gaming Headset of 2019? Here are 4 top of the range to pick from.